Winter is cold. But there are some things that can help make it better. Winter sports warm up your body. A nice fireplace warms your home. A cozy blanket for watching movies in the evening is very nice. One of my favorite new things to warm up winter is smoked chili powder. It's easy to make and adds an interesting and delicious flavor layer to food. 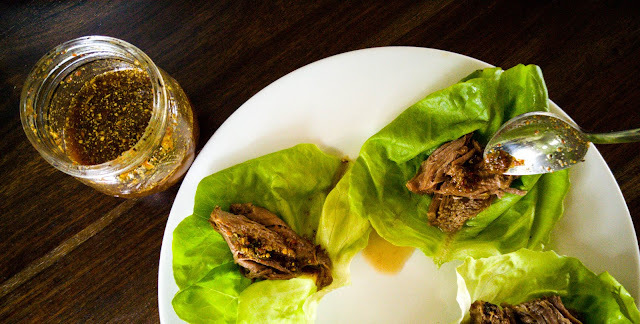 The chilies add heat; the smokiness reminds of summertime BBQ in shorts and t-shirts. A great way to warm your mind up this winter. Dried chili power is really good, but smoked is better. Not only is the flavor more interesting, but the color is richer too. 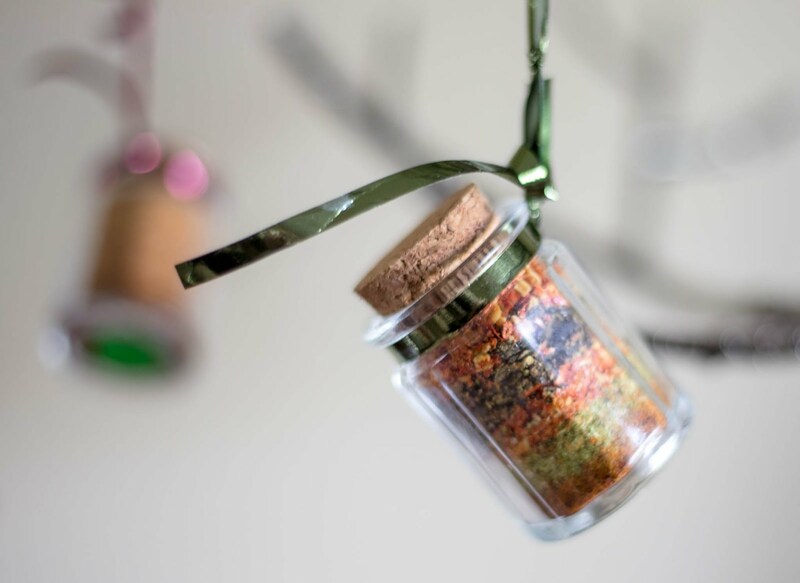 Smoked pepper powder has a richer color and flavor than simply dried. 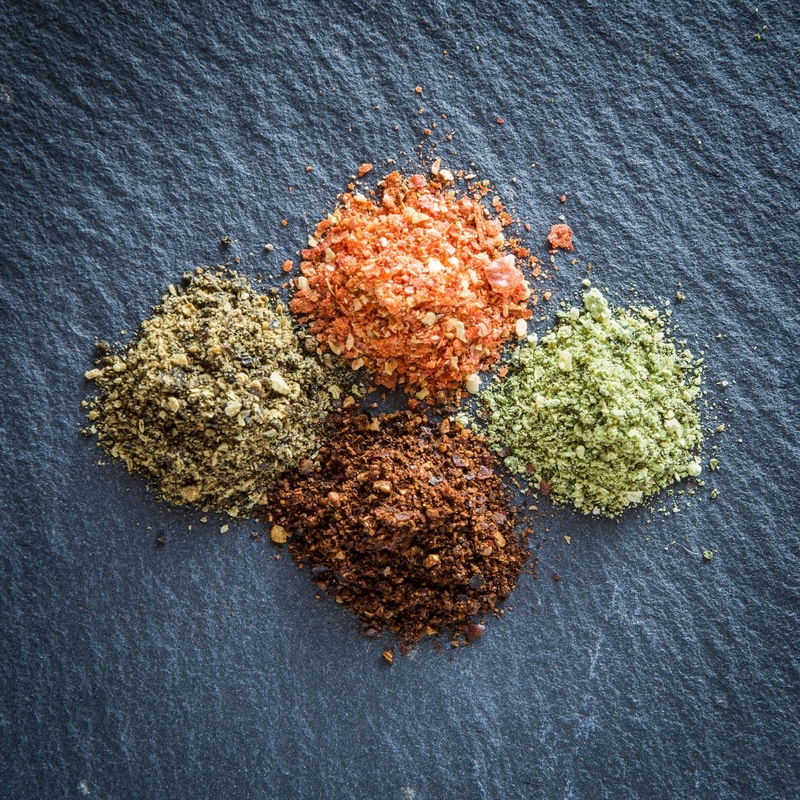 Clockwise from top: Dried cayenne, dried jalapeno, smoked cayenne, smoked jalapeno. It's pretty straight forward, as you might have guessed. You smoke the chilies in a smoker until they are completely dried out. Here are a couple things to keep in mind. Wear disposable latex gloves and don't touch anything once you start with working with the peppers. The oils are extremely spicy and will burn your eyes and nose. When you're done, just take the gloves off and put them directly into the garbage. If you decide to use your bare hands, you'll need to wash your hands several times to get all the oils off, and even that is not enough most times. It's just easier to use disposable gloves. Cut the chilies up. Slice them cross wise. Your going to be grinding them anyway so maintaining their shape doesn't matter. Also, opening them up helps them dry faster and prevents moisture from getting trapped under the skin. Grind them with a grinder that you don't use for anything else. Unless you want everything else to taste like chilies. Grind them outside. When you open the grinder there will most likely be a little puff of chili dust. This stuff is strong. One time my family has had to evacuate the house coughing and gagging when a cloud of chili dust drifted through the living room from the kitchen. That was fun. 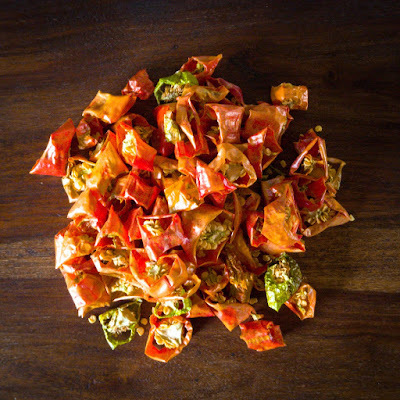 Use a dehydrator If you want to finish the chilies off or are looking for a less robust smoke flavor. Dehydrators are slower, but they can be handy. Thai chilies coming out of the smoker. There are really just three ways to use chili powder. As an ingredient. The fresh smokiness and heat is much better than any store bought cayenne or chili powder. As a topping. This is especially true if you make quick hot sauce with the chili powder. You can spoon some over anything. Especially tacos. It's outstanding and features the unique flavors much more prominently. As a gift. Extra can be nice to share with friends. Hot sauce is super easy to make. Search for Dried Chili Hot Sauce and you'll find tons of options. Here is how I've been doing it lately. I like a bit more herb flavors in mine. For a quicker and more rustic texture, I skip the extra blending and straining a lot of recipes call for. Because we're dealing with chili powder, this will make a very small jar of thin sauce that you can keep on the counter. The longer it sits, the better it gets. Try to get the grind of all the ingredients the same to get the best consistency. Add enough hot water to make a loose paste. This is really just re-hydrating the spices. Let it sit for about 10 minutes or so to get fully re-hydrated and warmed up. 1/4 cup white vinegar. More or less. The more you add the thinner the sauce, so add to your liking. Cap and shake to mix. Use right away or let it sit for a few days on your counter. The flavors will meld over time and improve. Does not need to be refrigerated if you plan on using within a week. Try using different vinegar. Cider vinegar brings some sweetness to the heat. Add more herbs for a more complex flavor. Just try to keep the size of the particles similar. Use a variety of chilies to get more flavors. Use a mix of smoked and dried chili powder to cut back on the smokiness. Add onion powder for a touch of earthiness. Add sun dried tomato powder to add some body and fruitiness. 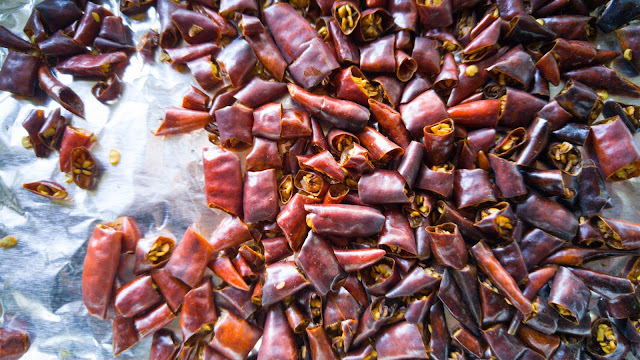 Dried Corne de Chevre chilies. These are very mild and sweet. They are great for mixing with hotter peppers to add complexity.